and some of our other websites...happy browsing! - only available through JustCharmed.com! is permanently updated with new designs and new items. here you will find it. 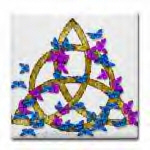 is the place to find our Pentacle & Trinity designs. shows 3 different moon phases. Visit for our lavish ivy and gold-effect designs. 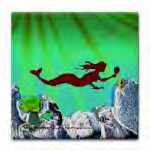 Items include Altar Tiles, Tile Boxes and more. 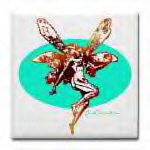 Paradise for Fairy Lovers of all ages. stationery, Gifts & and more. 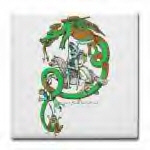 as well as Celtic and Oriental inspired Dragon art. exclusive Triquetra ("Power of Three") designs. Purple Triquetras, Seasonal Triquetras, Heart Triquetras, and more. 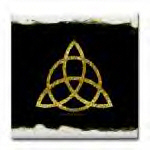 or become the envy of your Charmed-fan friends with our triquetra stationery. 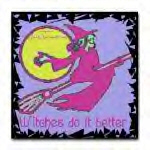 and perfect for all witches with a sense of humour. If you like wolves, you will like our site and the store! of any updates to JustCharmed.com and the JustCharmed Store.